Fresh and green broccoli florets blended into a creamy and hearty soup. Serve hot to enjoy! 1 Boil 400ml water in a large pot. 2 Add broccoli and salt to boiling water. Cook until tender and once cooled, blend into a puree. 3 In the same saucepan, add the remaining water and Knorr Mix Veg Soup. 5 Garnish with broccoli florets and a dollop of fresh cream. 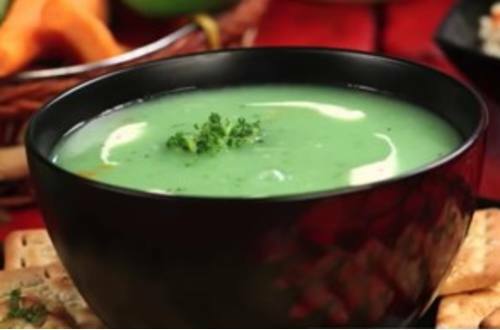 6 Treat your taste buds with the tasty and wholesome Cream of Broccoli Soup!